Pushin’ Too Hard, a long form documentary about seminal garage band The Seeds, directed by Neil Norman and produced by Alec Palao for the Crescendo Production Company, is scheduled for theatrical and DVD release later this year. Norman has filmed and recorded all the original Seeds — drummer Rick Andridge, guitarist Jan Savage, Daryl Hooper, their keyboardist and singer/lyricist/ dancer Sky Saxon — from a variety of film, video and audio source tapes. 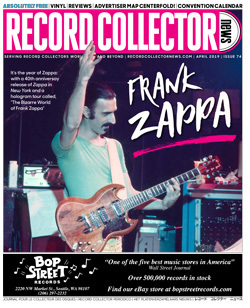 Also included are clips from interviews with Mark Weitz of the Strawberry Alarm Clock, Johnny Echols from Love, producer Kim Fowley, and Richard France, a roadie from their heyday. Also taped were interviews with Sky’s brother Robert Marsh and sister Mary Ann Marsh, who revealed reminisced about growing up together in Salt Lake City, Utah, under his birth name, Richard Elvern Marsh. Norman is currently wrapping up business and licensing activities which might include Seeds sixties television appearances from The Mothers-In-Law and American Bandstand, as well as potential clips “Mr. Farmer” and “Pushin’ Too Hard” from Where the Action Is and footage from Shebang! Pushin’ Too Hard, will also integrate nearly 30 seconds of silent film from the Seeds’ set at the June 1967 Mt. Tamalpais Magic Mountain Music Festival. More recent footage of Sky Saxon touring Europe in the 21st century will be incorporated, coupled with comments from bass player, Rick Collins. Neil Norman is working with a number of photographers who captured the band during its prime years, 1966-1969. Among the notable photogs are Henry Diltz, George Rodriguez, Ed Caraeff and Jeff Schwartz from the estate of Chuck Boyd. Pushin’ Too Hard will have many previously unseen photographic stills from Daryl Hooper’s personal archives along with band memorabilia, including The original GNP label domestic and foreign artwork. 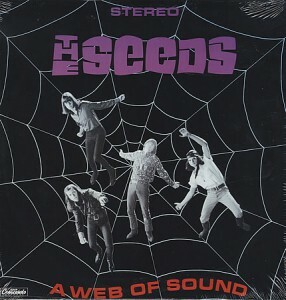 In the UK, Ace has made available the Seeds’ influential debut LP featuring unreleased songs, session outtakes and studio chatter. This makes no sense — their debut LP can’t contain unreleased songs! 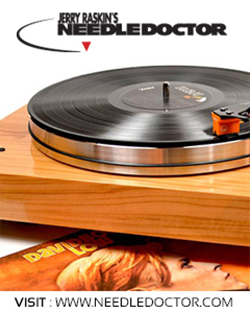 The epochal Web of Sound is due very shortly in a combined stereo and mono CD format. Palao has written extensive liner notes for these packages, which Feature never-before-seen photographs from the GNP archives. Norman saw the band many times during the late ’60s, and attended many of their recording sessions in Hollywood, CA. 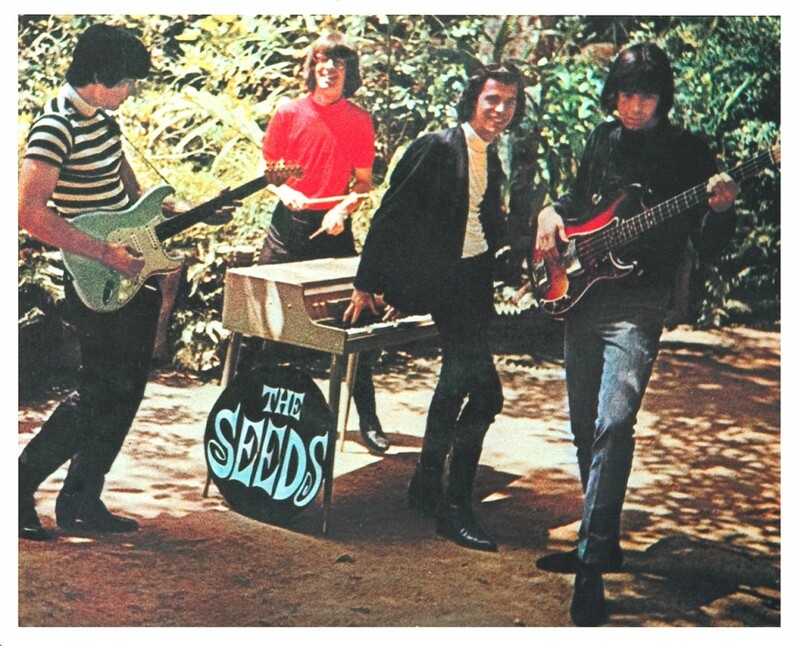 The GNP label for nearly 45 years has owned the Seeds’ master recordings and publishes their songs under Neil Music Inc. “Named after me when I was in diapers,” Norman says. 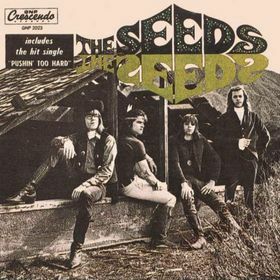 “The Seeds and GNP have always had a positive artist and label relationship.” “One of the reasons Seeds records connect with listeners/collectors is that they recording their music live in-studio. Occasionally they would add bassist Harvey Sharpe. Licensing deals for Seeds material has included “Pushin’ Too Hard” in Air America, and “Mr. Farmer” in Almost Famous. Nike licensed “Pushin’ Too Hard” for a product campaign and “Can’t Seem to Make You Mine” touted Axe Men’s Cologne in a national TV spot. “The Seeds were a real band,” Neil adds. “They were all irreplaceable. Daryl Hooper had a broad range of musical experiences from jazz, pop, standards, classical. He was a trained musician who played the saxophone, trumpet, guitar and keyboards. He teaches music today in Northern California. 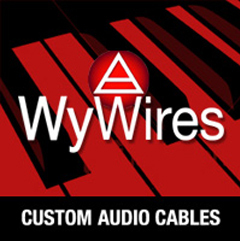 “The lead guitarist, Jan Savage, was exciting and original. Played licks that came out of the blues, rock and surf. As my dad used to say, ‘He came up with really good lines.’ Like the solo in ‘Pushin’ Too Hard.’ Drummer Rick Andridge wasn’t like Ginger Baker, who was all over the place. Jan was just relentless and cranking on the beat. In those days they didn’t mike up the drum sets like they do today. Jan had to hit the hell out of the drums like a freight train. It would just build to a crescendo. “In concert Sky was an animated dancer. Even on the Jimmy Maddin-produced recording dates for the first album, you can hear Jimmy on tape yelling, ‘Quit dancing around so much!’ Movement was important to Sky in the studio and in front of people. “The Seeds were viewed as the one of the Godfathers of punk. Their visibility has gone up and down over the years, like a Disney movie. Each generation discovers it. And, it’s timeless, so it works. They weren’t totally colored by that flower power aura. Which was great at first and then turned sour. “The thing that is brilliant about Sky, and I’m talking about the Seeds’ recordings and his lyrics, he did with us, are the universal themes that can be transplanted and interchanged. It’s amazing. ‘No Escape’ can mean anything. I mean, I’ve heard three different stories from Sky himself over the decades about what ‘Pushin’ Too Hard’ was about. I’ve had it remembered as ‘You’re Pushin’ Too Hard’ to a girl. I’ve heard that it was a Sunset Strip commentary, like ‘For What It’s Worth. And, even, an observation about a business deal or musical situation,” enthuses Neil. Norman is also a musician, record producer and surfer. He is a graduate of Buckley High School and attended UCLA’s Film School. For five decades at the GNP record operation, Neil Norman has done it all, from the mailroom to the Presidency.. Gene Norman, a former Los Angeles DJ, television host, Crescendo Club owner, and label founder, holds an Emeritus position at the still very active at the 58-year-old company. Hundreds and hundreds of titles are still in print in their eclectic library. Los Angeles native Harvey Kubernik is the Contributing Editor of Treats! Magazine. He’s been an active music journalist for 40 years and the author of 5 books, including “This Is Rebel Music” (2002) and “Hollywood Shack Job: Rock Music In Film and On Your Screen” (2004) published by the University of New Mexico Press. In 2009 Kubernik wrote the critically acclaimed “Canyon of Dreams The Magic and the Music of Laurel Canyon” published by Sterling, a division of Barnes and Noble. In summer 2012, the title is now out in paperback edition. With his brother Kenneth, he co-authored the highly regarded “A Perfect Haze: The Illustrated History of the Monterey International Pop Festival” published in 2011 by Santa Monica Press). This decade, Harvey Kubernik penned the liner notes to the CD releases of Carole King’s “Tapestry,” Allen Ginsberg’s “Kaddish,” the Ramones’ “End of the Century” and the “Elvis Presley ’68 Comeback Special”). to Daryl. He loved the Shirt, and has worn it in a number of press photos, which makes me happy to see. Daryl, if you get to read this, email me…it would be fun to hear from you. Hey Barbara — Daryl Hooper was my piano teacher growing up! I’m still in touch with him regularly. His movie is premiering here in Sacramento on October 3, 2015. If you get this message in time, look me up on social media – maybe I could put you in touch with him? i remember the first time i heard pushin’ too hard on the radio. it was back in 1983 on several rock and college stations. that song was my favorite and still is. Thanks for the tip, I will check it out. Daryl Hooper was a really nice guy when I met him, too. Really fun hearing you out there, I actually still have the shirt hanging in a closet. And I remember the incident of you sewing the buttons on at the last minute. Those were fun and crazy times. Hope you will check out the movie. Cheers, Daryl. The Seeds are the most important sixties band for me. Only a few other bands (like for example H.P. 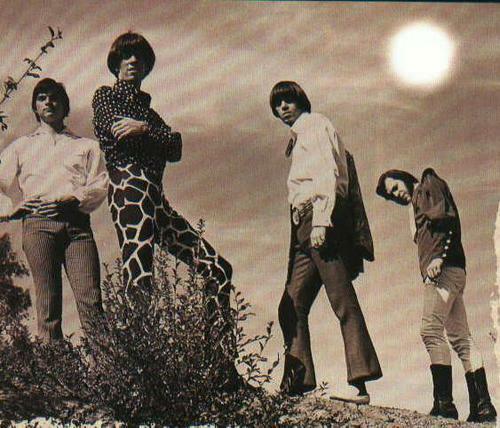 Lovecraft and the Electric Prunes) had made me change my musical interest and impressed me so much. I’m lucky that I had the chance to see Sky Saxon twice on stage (in 1986 and shortly before his death). Sadly I never had the opportunity to see the band in its original line-up. Mr. Hooper, if you read this e-mail I would like to kindly ask you, if you could send me the organ chords to “Mr. Farmer” & “Tripmaker” (my favourite Seeds tracks), because I try to play these on my keyboard. Thanks! Hi Mr. Otto, were you ever able to get a hold of the organ chords to “Mr. Farmer” ? “Mr. Farmer” and The Seeds in general have also been a big influence on me, and I would love to play that song. Although the patterns are simplistic and I figured out the basic melodic line, there’s still other stuff going on, under chords, changing starting notes, etc. By the way, are you still in New York? I am so glad I decided to check this website tonight; and I see my message finally got to you! with you, and going to hear you guys play in the East Village. Lots of fun! I live in New Jersey with my Artist husband, Frank, but go into the NYC a few days a week — I am an Adjunct Professor at my alma mater, the Fashion Institute of Technology. b.aratagavere@gmail.com. Let’s definitely stay in touch! We were kids in farmington when I lived down the hill from you. Later I went on to be a DJ at WXYZ, WJBK and at WLS. It was fun to play your records. Contact me if you get this. where you guys were staying — the date was actually written on the photo, it was August 1967. Wow!!! As I said, let’s stay in touch — fun to talk — my email address is in the last comment. Just wishing you a great time at the Premiere of “Pushin’ Too Hard” Documentary — you so deserve it!!! It’s just one week away. How exciting for you, and everyone involved. WoW! This is terrific news about the documentary! I bought the first LP in summer 1966 and everything since! I even have a “Secret File” cassette released by Sky’s widow after Sky’s untimely passing. Really looking forward to seeing the film. As for those rare TV appearances, they showed up on a “Seeds” DVD comp I found some years ago. August 16th. in L.A. Let’s hope it can make it’s way up here to San Francisco. Does somebody knows something about Jan Savage? I have been trying to get in contact with Buck ( Jan Savage) again for years! Would you give Him my e-mail address , and let Him know I’m still live in the same place. thank you . Is there any possible way of getting my hands on a copy of the DVD? I’d kill to be able to see it. It’d be something to truly cherish, a Seeds documentary. Let me know if there’s any way to purchase a copy or somehow see it. Thanks.